The gardens are closed for the season. The trees have lost their brilliant color. The cold is settling in. Yet, we can still marvel at nature. We can still notice the beauty all around us. We can still take strolls outside, despite the cold, and simply pay attention. Here is a poem I wrote after walking through the gardens last week, with some of these thoughts in mind. Happy Thanksgiving to all, and let us be thankful for this beautiful Earth, and all of its many gifts. 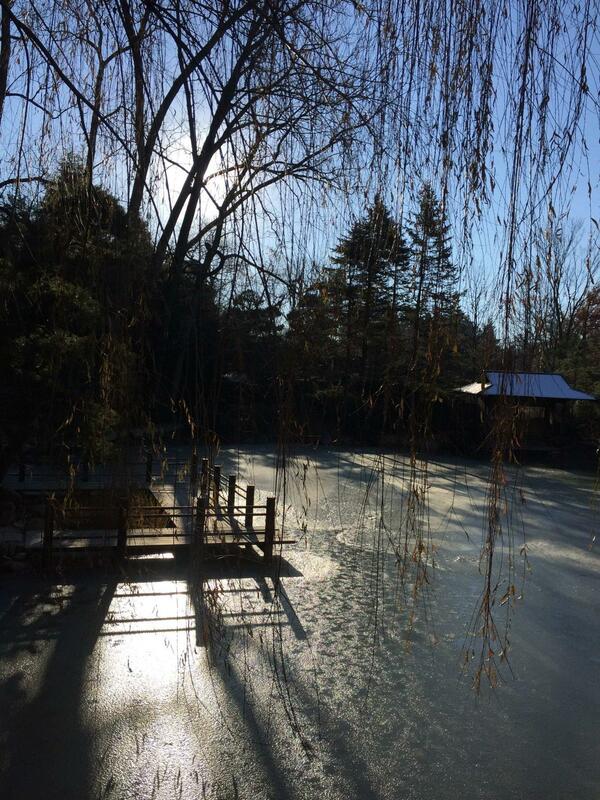 The pond is frozen, thinly. The ice reflects the moon. And the architecture of limbs.